Vaporizers are a modern and healthy way to smoke. In a vaporizer, the tobacco or the herbs are not burned but heated until the active ingredients are released. This is an entirely new development because for thousands of years people inhaled the ingredients mainly by burning tobacco or herbs. With the smoke produced by this combustion, however, the desired stimulants are not the only ones that enter into our respiratory system. Indeed, as it has been found in numerous studies in recent years, a large part of the components is harmful to our health. These include tar substances, carbon monoxide, and heavy metals. The problem is exacerbated by the fact that many users of home-made cigarettes smoke without a filter. With a vaporizer, the herb, the oil or extract in the vaporization chamber is vaporized in a much cleaner way, and there is no combustion which produces that large part of harmful substances in the smoke. 1 What is a Vape capable of? 3 Conduction or convection heating? This relatively clean combustion process has many advantages. The lungs suffer less, the aging effect of smoking is reduced, as are the adverse effects on dental health. The usual morning cough disappears, and the lungs can breathe again. Also, you avoid the negative impact of smoking on your home or your room. Fewer people will complain about the smoke and the process of vaporizing itself is more comfortable to hide. Especially with new small vaporizers like the DaVinci IQ. Those who like to smoke at home will be happy that their apartment doesn’t get the yellowish tint that often makes a home renovation necessary. What is a Vape capable of? Once you have decided to buy a Vape, you should ask yourself: Which materials am I going to use? Can I just put tobacco or herbs in my Vape? The most straightforward answer is that you can vaporize any plant. It may make sense to grind the material with a grinder so that it can be packed as close as possible to the heating chamber of the vaporizer. In order to enhance the aroma of the vapor, it is also possible to position the herbs that are not chopped up in the vapor path. 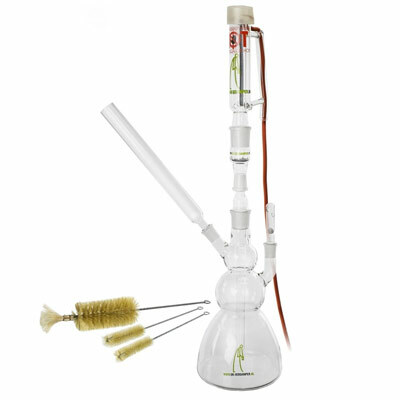 Apart from the plants, oil vaporizers are also offered. Oils contain the active ingredient in a concentrated form without the other constituents of the herb. If you don’t like liquids in your vaporizer, you can use the so-called waxes. These are produced using butane gas and contain the active ingredient in high concentrations. The temperature is important because it depends on the correct temperature whether the active ingredient to be inhaled is vaporized or whether the material starts to burn. Of course, you want to avoid burning the material; otherwise, you can smoke a joint. The THC contained in the marijuana has an evaporating temperature of 157°C which slightly increases in the vaporizer due to the higher pressure in the chamber. This is why most evaporators work with temperatures between 180°C and 200°C, optimized for the evaporation of THC and most other active ingredients. 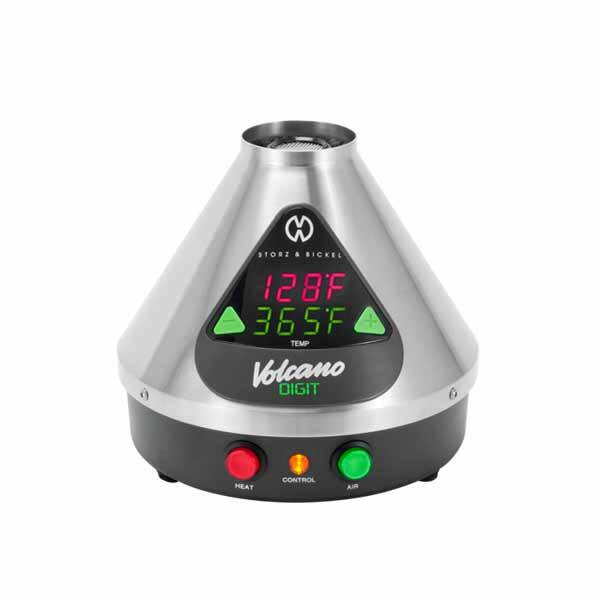 Since not all vaporizers have a temperature control, it is important to see if a vaporizer matches the temperature that you want for your herbs, and especially when using oil or wax, which often have a slightly higher boiling temperature. Another important aspect is that the active ingredient is consumed in the herb during vaporization. In order to inhale the same amount of active ingredient continuously, you can increase the temperature over time. Two heating mechanisms are used for vaporizers: conduction heating and convection heating. 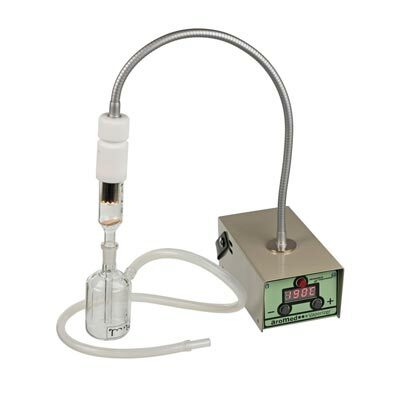 Convection heating separates the heating of the air from the Vape material. The heated air rises from the oven into the chamber with the herb and makes the active ingredient vaporized gently and with low levels of pollutants. Conduction heating poses heating and the active ingredient in the same chamber, in direct contact. In the latter there is a possible danger of partial burning of the herb and few pollutants can be present in the vapor cloud. As you can see, convection heating seems to be advantageous. However, it has two disadvantages: more space is needed and the price of the vaporizer increases. Nevertheless, a convection vaporizer should be chosen whenever it is possible. The energy supply for the vaporizer depends first of all on whether you use a table vaporizer or a portable device. Most larger vaporizers for home use work with power supply through the AC outlet. Portable devices have either an integrated rechargeable battery and must be charged after use or have replaceable batteries. The latter are preferable, as several replaceable batteries make it much more flexible to use and the vaporizer can be used even if the spare batteries are in the charger. Some vaporizers work well also when charged and the low-tech version even allows operation without electricity and heating with a lighter. To obtain a healthy vapor cloud it is important to pay attention to the materials used. In order to avoid absorbing unhealthy components of the vaporizer within cloud, it is important to ensure that materials such as glass, ceramics and pure titanium are used. Titanium and other metal alloys, as well as plastic and aluminum, should be avoided. 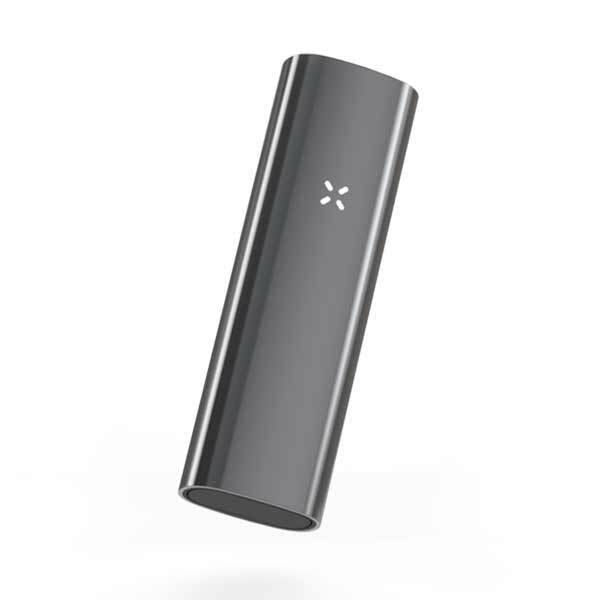 The Pax 3 gets excellent marks for the material. Only medically safe materials have been used, and they significantly reduce the health risk compared to cheaper vaporizers. Variable temperature, fast warm-up time (15 seconds) and handy control with smartphone application contribute to the positive overall picture. One disadvantage is the conduction oven, which is often used in portable vaporizers due to space constraints. 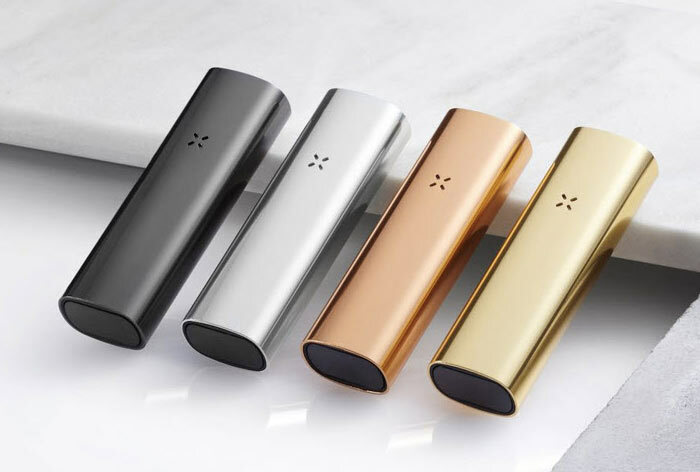 The Pax 3 is offered for about 240 pounds and we can recommend it as a whole because of good material quality and temperature control that far outweigh the disadvantages of the conduction chamber. 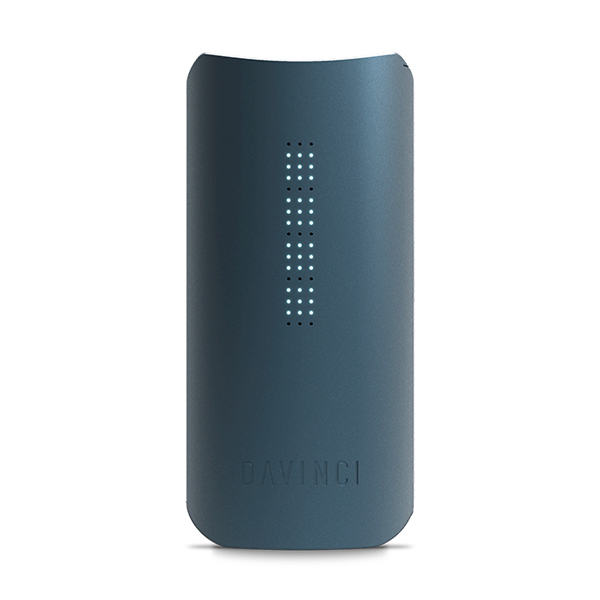 The DaVinci IQ impresses with its good material quality and manageability. It is one of the smallest vaporizers on the market. With the handiness also comes a conduction oven. However, due to the vast temperature range and the Smartpath technology that defines a program for the temperature development during the vaporization session, this does not have a significant influence on the quality of the vapor cloud. With about 260 pounds, the IQ is in the higher price segment but offers many extras and new features. 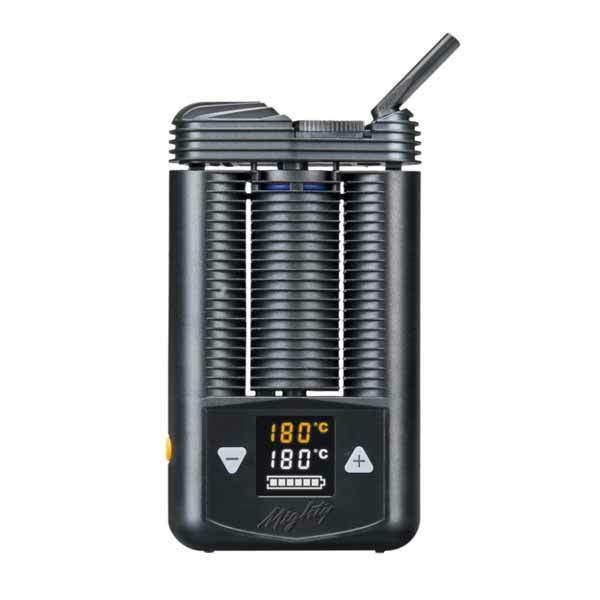 The Mighty Vaporizer from Storz & Bickel provides a suitable temperature range of 40°C-220°C. It uses a patented combination of convection and conduction heating. A cooling unit ensures a pleasant vapor cloud. The Mighty Vaporizer is a quality product with numerous extras and two powerful batteries. The batteries are permanently installed in the vaporizer and cannot be replaced, but the vaporizer can be used while charging. The Mighty costs 300 pounds, but it has the most interesting characteristics, and it’s a high-quality product made in Germany. 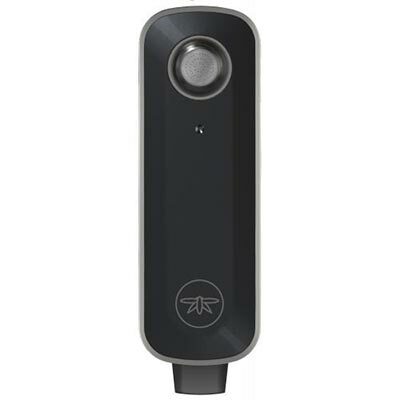 The Firefly Vaporizer 2 is 33% smaller and 55% lighter than its predecessor, the Firefly, making it small and handy. For heating, the Firefly uses a convection oven which, together with the borosilicate glass, supplies aromatic clean vapor. Two batteries for the vaporizer are included. The price of the Firefly is 330 pounds. The result is a handy unit for convection heating and removable, easy to clean vapor channel. The Boundless is the most significant and heaviest vaporizer in our Top 5, approximately with the size of a smartphone. With this size, a large heating chamber and short heating time is achieved by a hybrid convection/conduction furnace. With 180 pounds the Boundless is quite favorable in comparison with the other vaporizers, and, for whom is not concerned about the size, it offers a high-quality vapor. 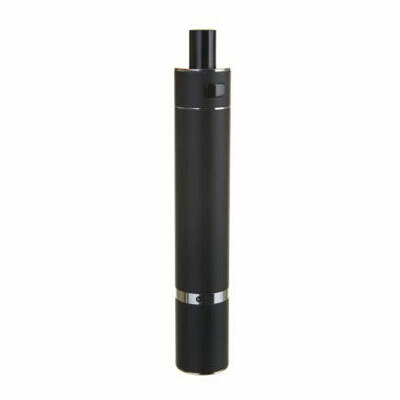 If you like the look of a cigarette, you can use a pen vaporizer. For this purpose we have put together another Top 5. 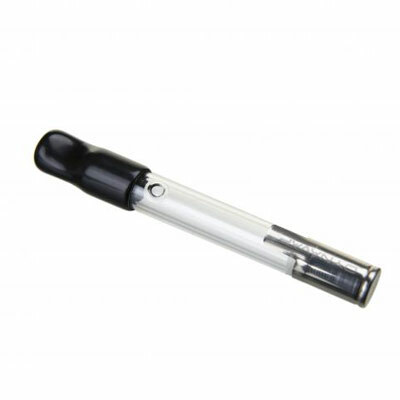 The Storm Vaporizer is a high quality material for clean vaporization. The heating chamber is a ceramic conduction oven and the vapor channel is separated from other electrical components despite the small size of the evaporator. The temperature can be increased in 5 steps from 180 °C to 220 °C. For users of oils and waxes, a stainless steel compartment is included. With a price around 100 pounds, the Storm delivers a substantial and relatively clean vaping experience. The Vapium Summit is, according to the manufacturer, a vaporizer that you can bring with you on mountaineering or other expeditions to inhospitable areas. It works without problems for temperatures from -30°C to 80°C. During the test, it was, first of all, determined that the closure of the heating chamber with a small magnet is quite weak. This is a problem that the manufacturer also noticed, so a rubber band to improve the closure also comes with the vaporizer. Apart from that, the Summit+ is really suitable for outdoor use. Dust and splash guard is so robust that you can use this vaporizer even in the shower. 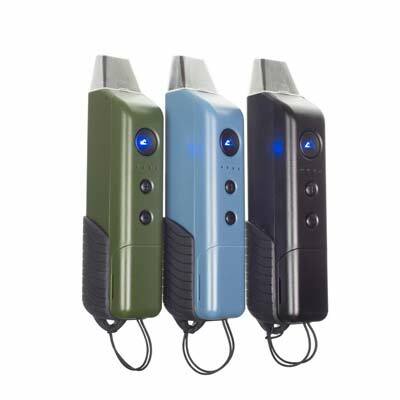 With the price around 150 pounds, the Vapium Summit+ is a niche product made for people who travel a lot outdoors. The G Pen Pro costs around 90 pounds, just like many pen vaporizers. Grenco Science has focused on compactness and efficiency of vaping experience. There are three temperature levels from 190°C to 220°C, heated by a ceramic conduction oven. A small disadvantage of the compact design is that there is no removable battery. A fully charged G Pen Pro will run for 2 hours. The Aura provides two hours of battery life for around 70 pounds with temperatures between 40°C and 220°C and a ceramic oven. The device is relatively light because, apart from the oven, plastic was used. This choice of material results in a slightly chemical taste when the vaporizer is used for the first time. It is advisable to burn out the aura to vaporize any volatile substances. 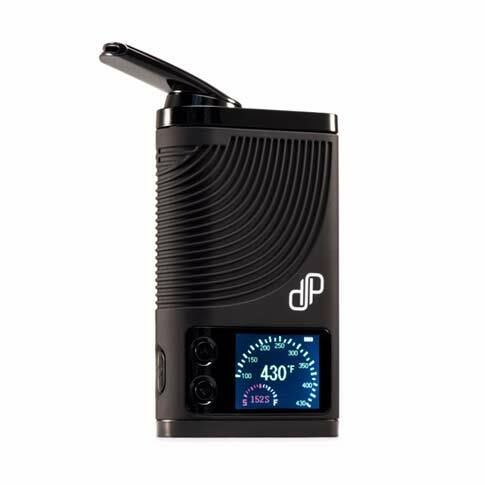 The Gravity is a vaporizer tailored to Vape-Waxes and fascinating by its good appearance. Due to the quite high price, one could call the Gravity the iPhone among the pen evaporators. A robust quality vaporizer for users who like to pay a little more for good design. If you like to use your vaporizer at home, you can use a desktop vaporizer. These do not have the limitations caused by the operation on the road. They can also be used to refill vapor balloons. 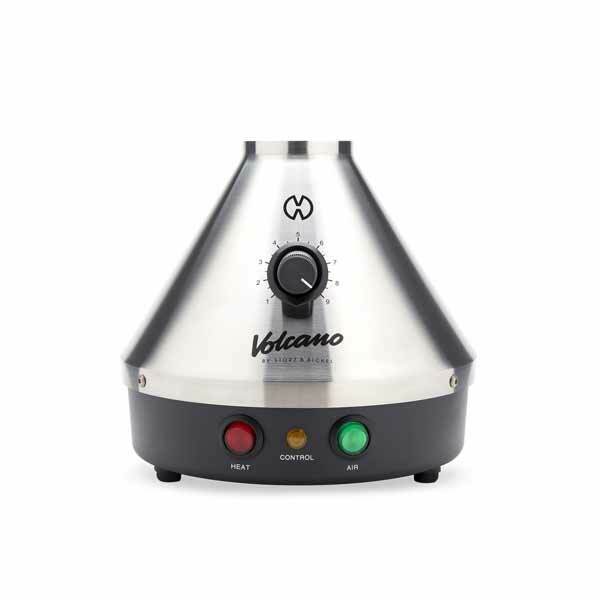 The Volcano Digit is a tabletop vaporizer with digital temperature display that allows you to choose between temperatures from 130°C to 230°C in 9 steps. The workmanship is a good quality one according to the price. Only tasteless materials were used. Besides, there is an automatic shut-off function to save electricity, a cost-saving balloon system, and a 3-year warranty. If you have 440 pounds left, this is one of the best devices on the market. The Aromed (350 pounds) is the underlying rock of the table vaporizers and has a somewhat old-fashioned design. It can vaporize any kind of herb without any problems and with low emissions. The clinically pure heat source produces a dust-free clean vapor cloud. A good choice for someone who puts functionality and ease of use above appearance. De Verdamper Deluxe, from Holland, is a little bit complicated and has many glass parts that can easily break. In addition, the warming-up time of 10 minutes is a little bit longer than usual vaporizers and the herb must be present in sufficient quantity and trimmed well. For 350 pounds you will get a clean and very aromatic vapor if you are technically proficient enough to use the Deluxe. The Volcano Classic is, like the Volcano Digit, a product made in Germany with outstanding quality. It includes the same features as the digital, without LED display and the auto power off option. The price is 100 pounds less. The Arizer is the cheapest vaporizer in our Top 5 with a price under 200 pounds. It is easy to use and has a short heating time. With the ceramic heating element, the vaporizer can reach temperatures from 50°C to 260°C and since many glass parts are used, the vapor cloud has a very pleasant aroma. If you don’t want to spend so much on your vaporizer, there are also enough robust products for around 100 pounds or less. Here there are four of them for you to take a short look at. The Magic Flight Launch Box costs around 90 pounds. The box is about the size of a matchbox and therefore it is very handy. 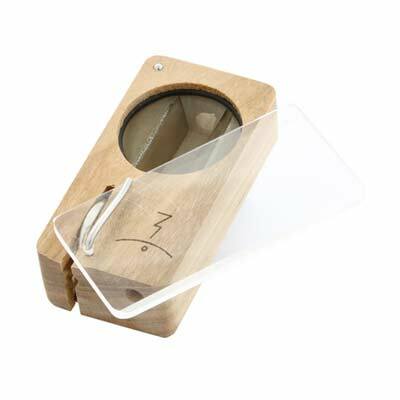 While the vaporizer mainly consists of wood, the heating chamber is made of stainless steel and works with convection heating. The mouthpiece is made of glass. There is no temperature control; instead the temperature is determined by the power supply, by inserting and removing the battery. You need some practice to obtain an aromatic vapor. The G Pen Pro has already been featured in the top 5 of the pen vaporizers. Since it is also quite inexpensive besides its features with around 90 pounds, it appears here again. The Boundless costs around 100 pounds and is specialized in the vaporization of oils and waxes. The battery is built-in and can be charged via a micro USB cable. There are two heating options: a quartz and a ceramic heating coil. The ceramic heating coil can be chosen for dense vapor and the quartz heating coil for better aroma. The puffco also costs around 100 pounds. 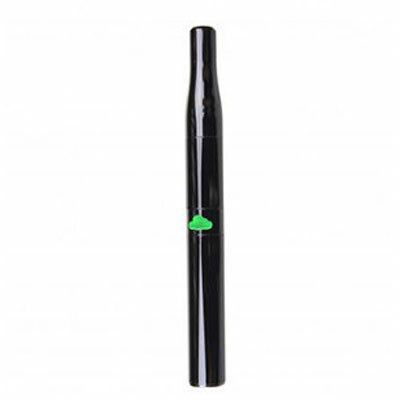 It is designed to vaporize waxes and does not work with other substances. Accordingly, the temperatures are somewhat higher at 304°C -380°C. No adhesives or metal parts are used in the ceramic heating chamber for good aroma. If you want to buy very low-cost vapes, you can also find vaporizers for less than 50 pounds. Here are three vaporizers that are recommended at this price. 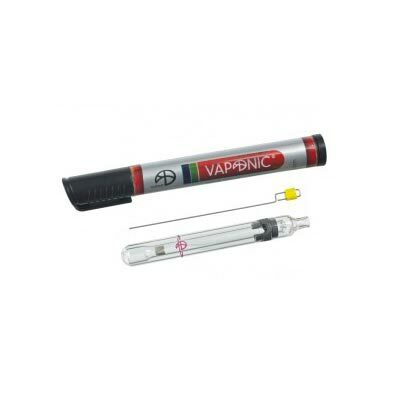 The Vaponic is very simple and costs about 25 pounds. It is made of laboratory glass and thus produces a clean steam that does not taste like the vaporizing material but rather like the used herb. A lighter is used for heating, so the temperature control needs some skills. An interesting detail is the design of the packaging which resembles a marker pen. So not everyone has to see that you carry a vaporizer with you. 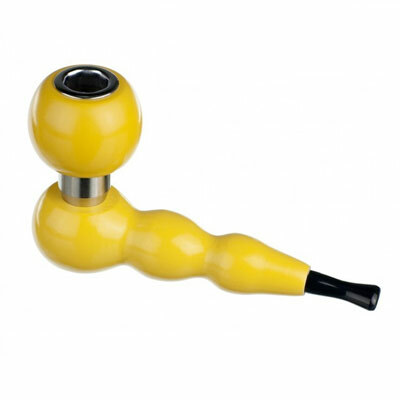 The VaporGenie costs around 25 pounds, reminds of a pipe and is used similarly. The herb is heated with a lighter and the silicon carbide flame filter prevents the herb from burning. The service requires some skills, but with a little practice you can get an aromatic vapor cloud. The VapCap costs around 40 pounds and is also heated with a lighter. The body of the device is made of glass, which provides a clean aroma. Like other low-price vaporizers, it has no temperature display. However, the vaporizer warns that the optimal temperature has been reached by a click sound. If the temperature has dropped too much, the VapCap also reports it with a click. 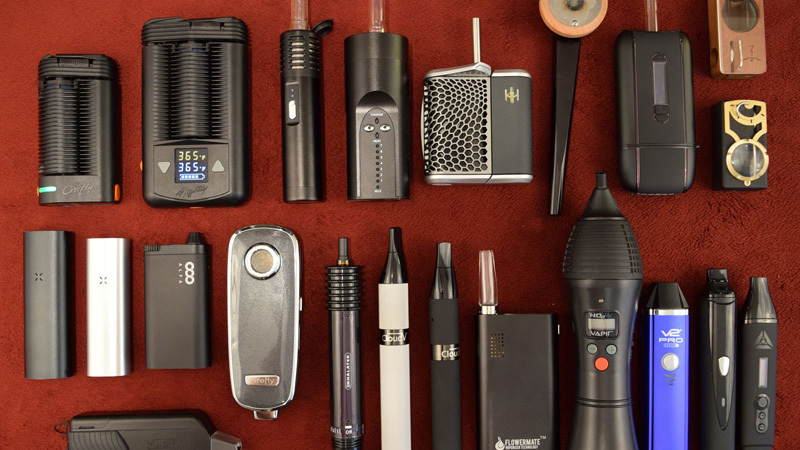 Have you found a vaporizer that interests you? The price comparison that is integrated in our website ensures that you always get the best price on the best e-shops online. 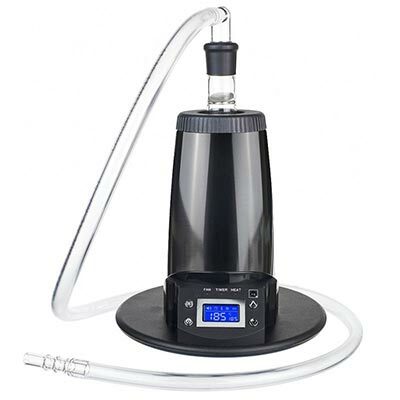 We are constantly updating our website with new vaporizers reviews and tips about vaporizing. So check regularly for updates if you are interested in the topic.